Leslie L. Durschinger is the founder and Managing Director of Terra Global. 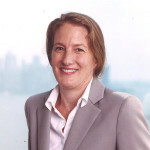 Leveraging 20 years of experience and a proven track record in the financial services industry, Ms. Durschinger founded Terra Global Capital in 2006 to promote results-based approaches to community-led programs for reduction of emissions from forests and land use. She is recognized as a pioneer and innovator in alignment of development values and financially viable approaches to sustainable landscape management. Terra Global is now the leader in development of forest and land-use emission reduction programs, Green House Gas analytics and finance. She is a member of the Verified Carbon Standard (VCS) AFOLU Steering Committee, REDD+ Social & Environmental Standards Committee, VCS JNR Permanence Work Group, Coalition on Agricultural Greenhouse (C-AGG) Advisory Committee and W+ Standard Advisory Council. Among her previous employers are JP Morgan, Merrill Lynch, Barclays Global Investors and Charles Schwab.